Amaia Scapes Bauan is a fully-developed community worthy of your hard-earned savings. Having a home of our own for our family is the dream of all. But in such times where there are hundreds of new projects coming up it has become more of a tedious task to pick the perfect one as per one's requirements and choices. Each one of us looks for a place skillfully designed, well-constructed and full of comforting and convenient facilities such that we can ensure a luxurious living for our near and dear ones. Amaia Scapes Bauan, a residing property is a unique and magnificent construction by the trusted Amaia Land. Spread on a huge cover of 11.5-hectares, Amaia Scapes Bauan is a huge community in itself that holds the worth of your saved money by working day in and day out. A huge development that has been skillfully planned and conceived makes a perfect home for all those seeking a comfortable address. A renowned name is that we all want to get associated with especially when it comes to involving our trust. Amaia Land is one such brand that has been a star in the construction industry for many years. Extremely popular for its strengthen constructs and amazing designs this brand has been dedicated to serving the people providing them with the best homes to have new and joyous beginnings. Full of several varieties of amenities such as a green pavilion, a swimming pool for all, a basketball playing and practicing court etc. this construction has all the necessary furnishings that one can ask for to be incorporated in the radius of their homes. There are a whole lot of home designs that one gets to choose from at Amaia Scapes Bauan as per the preferences of the family and their needs. The phase one of Amaia Scapes Bauan is spread in an area of 39,027 square kilometers which spaciously accommodates 224 beautifully designed houses and unit lots. Each floor area ranges from 25 square meters to 75 square meters. 1. Bungalow Pod - With twenty-seven square meters of ground floor area and twenty-four square meters of the second-floor area the Bungalow Pods are quite spacious and royal to live in with your family. The total house area is fifty-five square meters surrounded by lush green patches all around that impart a natural touch to the outlook. 2. Twin Pod - The total house area is twenty-eight square meters along with an indoor area of twenty-five square meters which also possess a porch area of three square meters. These twin pods are surrounded by green patches that give it a beautiful look. Along with the beautiful and attractive outlook, the pod is also an extremely spacious one fulfilling all the needs of a family. 3. Multi Pod - The total house area on the inner as well as the outer end is twenty-five square meters and twenty-eight square meters respectively which is well designed to accommodate the several types of rooms like living room, kitchen, washing area etc. The interiors of the home can be designed by the choice and necessities of the owner as per his/her requirements. 4. Twin Homes - Total housing area is forty-seven square meters. The unit is divided into ground and the second floor where the ground floor occupies twenty-five square meters area and, the second floor occupies nineteen square meters of area. These pods well accommodate the several rooms including the kitchen and the toilets. 5. Single Home - These units are again divided into a ground as well as a second floor with the total house area of fifty-six square meters. The ground floor expands in an area of thirty square meters and the second floor occupies twenty-two square meters. 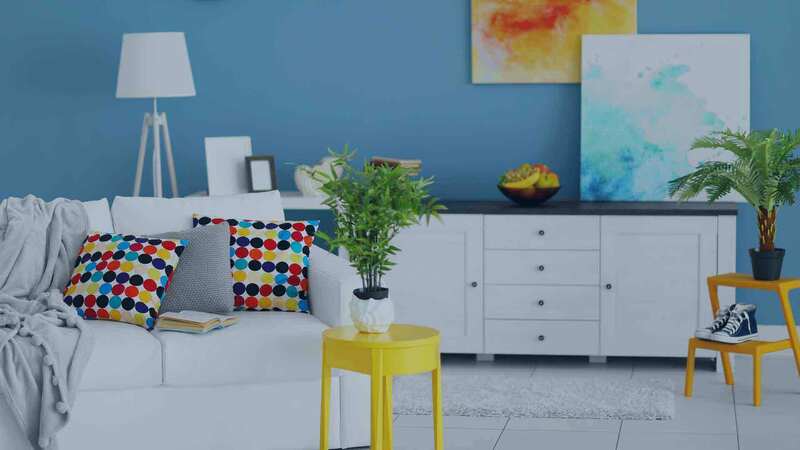 The area of the home is wisely divided into several essential rooms and toilets and one can design the interiors as per his/her wish to add on to the beauty of the unit. 6. Carriage Pod - This pod is also a combination of a ground floor as well as the second floor with a total house area of fifty-five square meters. The ground floor is expanded in a region of twenty-seven square meters and the second-floor region is a stretch over twenty-five square meters. Spacious rooms like bedrooms, living rooms, kitchen, toilets and washer areas are very well designed and accommodated in the well-designed home. A well-developed community, the Amaia Scapes Bauan is an affordable yet another state-of-the-art housing project brought to you by the Ayala Land Inc. and Amaia Land Corporation's collaboration. The project is being managed by the Ayala Property Management Corp. so you are assured of the finest services in property handling. The project is situated along the Bauan-Batangas Provincial Road, Brgy. As-is, Bauan, Batangas which is just a few minutes away from Bauan town proper and a few kilometers away from Batangas City. The property sits in a 3.9 hectare (Phase 1, of total 11.50 hectares) of relatively flat land with minor rolling and typically flood-free zone and within reach of all major growth areas.. Still a unique concept of independent community living, the estate comprised of 224 house and lot units, on which the houses are constructed and finished with the latest in technology using the strongest and rigid materials available. The houses are made to last for generations. The housing units include: Bungalow Pod (34sqm), Twin Pod (28sqm) and the Multi Pod (53sqm). All units have porch and provision of carport. Size range of lot is from 65 to 115sqm. Being a truly functioning community, there are various common amenities and facilities inside the estate. The entrance and exit gates are well secured, keeping everybody safe day and night. The well-paved spine roads are lined with trees, well-maintained patio green, and the village patio has basketball court, pavilion and swimming pool and children's playground. The fresh water is supplied by an elevated tanks and the perimeter is fenced for added security. Don't worry about your children's education, various schools and universities abound in the place such as St. Theresa's College, University of Batangas, Lyceum International Academy Maritime, Bauan High School and the Batangas State University. For your medical needs, the Bauan Gen. Hospital and the Bauan Doctors and Gen. Hospital are within easy reach. To provide you with your grocery and other every day needs, the Citimart, Bauan Public Market, SM City Batangas and Plaza Consorcia among others are within the locality. Some of the well-known institutions and establishments around the immediate vicinity are the AG&P of Manila, Inc., Bauan Municipal Hall, Batangas Provincial Sports Complex, Batangas Port, Batangas Provincial Capitol, B-Meg Bauan Satellite Plant and many others. A well-endowed community for the whole family, the Amaia Scapes Bauan is a great escape to unlock you from the miserable world of "homelessness", the easy to the pocket investment will give you the great boost in your career and you can have a home you can call your own! Looking to outsource live chat support? We recommend HelpDesk 247. Amaia Land Amaia Scapes Bauan in Batangas, Philippines is a premier House & Lot project available for sale. If you're looking to rent or purchase Amaia Scapes Bauan, then check here first. We have full details of Amaia Scapes Bauan updated regularly as well as everything you need to know about the availing and booking process, broken down into stages that includes selecting a unit, choosing a payment plan and buying your dream home at the right price. For price list, free site tripping or showroom visit, personalized service, model house, unit plans, floor plans, payment terms, CHAT LIVE with an agent 24x7. We are Remax Perfect Homes. Always only buy from PRC licensed Real Estate Brokers and Agents.